This reference CK2998-3 is the last Speedmaster with the 2998 reference that could come with the lollipop chronograph hand. While the CK2998-1 & -2 had the black tachymeter ‘base 1000’ bezel, the CK2998-3 was the first Speedmaster with the new generation bezel where the scale begins at 500. This particular watch has a naturally aged original dial & hands. In addition to this reference being very rare, this particular piece is a military issue for the Fuerza Aerea del Peru (Peruvian Air Force) delivered in July of 1961. 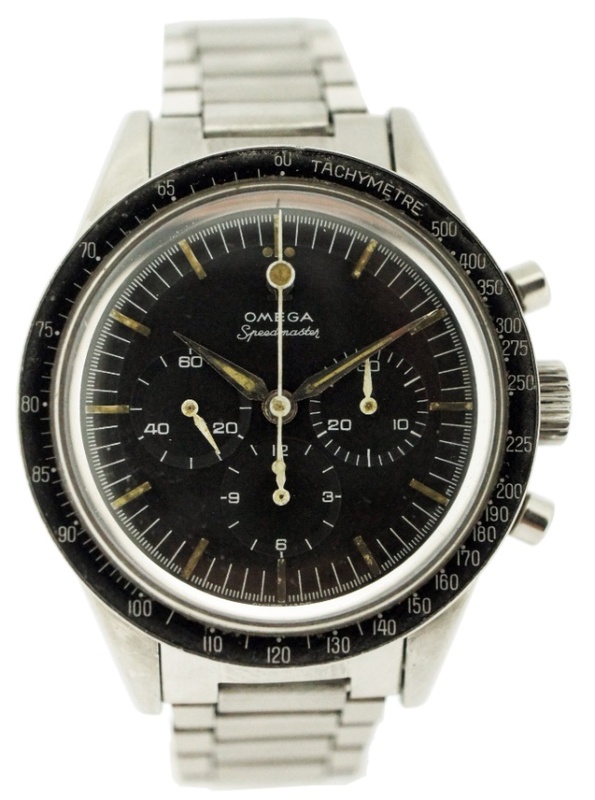 The watch, with a 17 million serial number, is in all original condition and comes with an archives extract from the Omega museum. The dial, lollipop chronograph hand, dagger counter hands and h/m alpha hands are original.